Independent filmmaker Sam T. Wilson is a California native living in Brooklyn, NY, where he has been making films for the past 5 years. An inspired director, writer, and cinematographer, Sam seeks to shine a light into humanity’s darkest corners and thrust them to the forefront of his audience’s experience. His comprehensive understanding of light and storytelling, combined with a precise attention to technical detail, allows him to carry projects at any budget and with any crew size to their fullest potential. Currently Sam is directing The Molok, a fantasy feature film that explores the loss of childhood innocence through personal tragedy, and has recently finished production for Poets Are The Destroyers, a feature film where he worked as the Director of Photography. Xander’s career in the arts has spanned more than 20 years. He works as a writer, director, producer, actor, singer & dancer. No matter his role in, Xander is a passionate storyteller and approaches the material from the inside out, connecting the emotional truth of the piece to his audience in every moment. 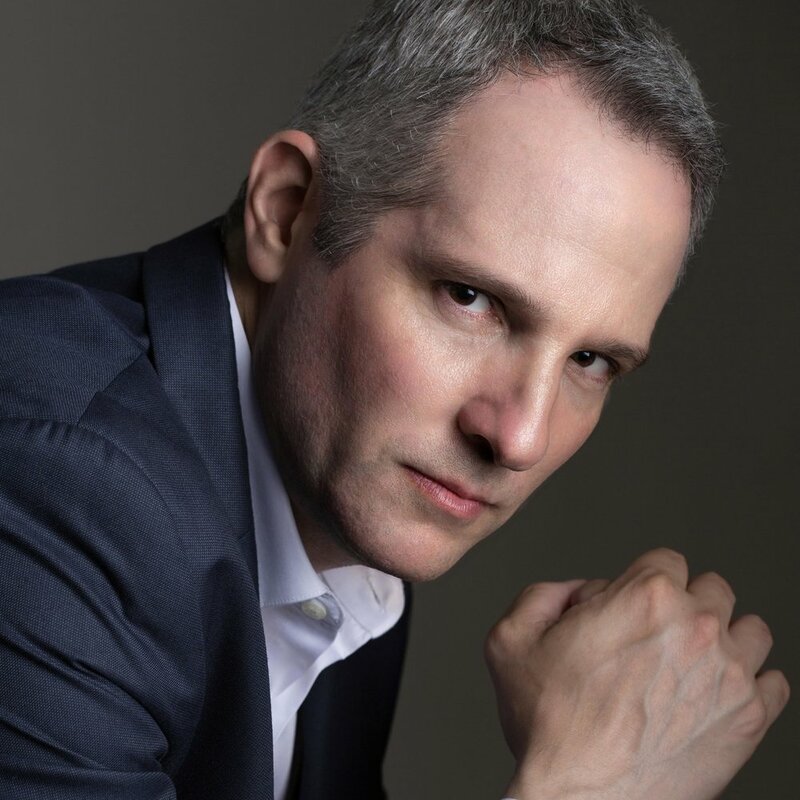 As an actor, he trained in Meisner Technique with the legendary Bill Esper in NYC and has been seen in such favorites as Phantom, Cats, Beauty and the Beast and Titanic (Best Actor in a Musical, broadwayworld.com), as well as credits in film, TV, voice-overs and commercials. Xander has created pieces on cruise lines and theme parks and currently has multiple projects in various stages of production, including an upcoming reading of the new musical, SAVAGE. Combining film, theatre, puppetry and multimedia, he is most excited about The Molok. Xander is a proud member of Actor’s Equity, AFTRA and SAG; he lives in Manhattan with his wife, Emily, and their furry prince, Pierre. Annalisa Barron is an artist and filmmaker currently working in Brooklyn, NY. She graduated from Penn State University with a BFA in Painting and Drawing in 2013 and with an MFA in Sculpture from the Pratt Institute in 2017. Her short films include The Kingdom of Back (2017), E.V.E. :ERECTUS VEGETABILIS EVITANEOUS (2013), Incarnate (2013) and Chair Man (2012). Her work has been exhibited at the Cooper Union, the University of Rochester, Southern Oregon University, El Minia University in El Minia, Egypt, BunkerPROJECTS Gallery in Pittsburgh, PA, the U.S. Embassy in Nicaragua, the NO/GLOSS film festival in Leeds, UK and the Anthology Film Archives in New York City, NY. She will be featured in GRRL HAUS Cinema’s 2018 European Tour for her work on her most recent film The Kingdom of Back (2017). Nancy Pop is a multifaceted performer, producer, and writer originally from Romania, currently residing in Brooklyn, New York. She graduated from Marymount Manhattan College with a B.A. in Theatre Performance and Playwriting, in addition to training with The Second City (Chicago), Magnet Theatre NYC, Berg Studios (Los Angeles), and Pacific Performance Project East. Film and TV credits include Law & Order SVU, Tinderella, Origin, Moderngrumble, The Night Danny Got His Revenge, and Neapolitan. Pop is the Managing Director at The Theater Collective, where she produces theatrical works with the goal of uplifting minority voices. She hosts "In Cold Read", a monthly cold reading workshop series at Spoonbill & Sugartown Booksellers in Bushwick. Most recently, Pop finished production on her first feature film, Poets Are The Destroyers, which she directed and produced. Edna is a German writer and cinematographer based in New York. She has shot over 30 short films across the globe and collaborated with Director David Tyson Lam of NYU’s Grad Acting program on feature film VIRAL BEAUTY, which played at various festivals and is awaiting release this year. She also co-directed THE COLOR OF TIME, a feature length collection of short stories based on TAR, a book of poetry by Pulitzer Prize winning C.K. Williams. The film was produced by and stars James Franco as well as Jessica Chastain, Mila Kunis and Henry Hopper. Recently, she wrote and photographed PARENTHESIS, starring Marc Menchaca and Casey Killoran and premiering in summer 2018. Edna is passionate about lighting and beyond excited to help create the world of Molok. She holds an MFA in Filmmaking from Tisch School of the Arts. Harold Taddy uses a lifetime of traveling meditations, both physical and meta, to inform his creative output and is no stranger to the power of sound manipulations. It’s prevalent in his musical compositions with longtime collaborator Kent Fairman Wilson; in the Minotaurian novel soundtrack work with famed author Steven Sherril; and within his poetry and stage direction while performing with his own immersive theatrical drone experience - The Velvet Noose. Taddy’s signature feel incites reflections on pure human emotion, often using long-form Moog-based oscillations to an entrancing degree. With words, he casts light on uprooted timeless wisdom and his textured musical landscapes create a mirrored backdrop, guiding the listener through an experience that goes beyond that of simply listening or watching. You can see this concept realized in his short films, The Meditation Ritual and Sublimation of the Pig Skull. Luke has over a 13 years of experience behind the camera working on a wide range of commercials, films, music videos, and TV shows in many different capacities. Most recently he co-produced the film "Parenthesis" with his long-time collaborator Writer/DP Edna Luise Biesold and is currently in the final stages of post-production on a short-form documentary about falconry with photojournalist/documentarian Sarah Nathan. On top of producing and creating promotional content with his partnership company LOOK! Pretty Pictures, Luke can be found in the camera or electric departments in shows like Saturday Night Live, Entertainment Tonight, the Rachael Ray Show, Netflix’ ROTTEN, Health + Happiness, and Showtime Championship Boxing. When he's not on set, Luke spends his time as a singer/songwriter with his band Luke Buck and the Stops Here, playing music all over NYC. He lives in Brooklyn with his two dogs, Maddie and Lola. Broadway: War Horse (Joey/Topthorn), Big Fish, Something Rotten!. Other New York Theater: The Metropolitan Opera’s The Merry Widow (FrouFrou), Hagoromo with Wendy Whelan at BAM. Threepenny Opera,” and Jedermann (Bear). (Rockette). Additional puppetry at St. Ann’s Warehouse Puppet Lab under the direction of Matt Acheson, and The Chekhov Project’s “I am a Seagull” with puppetry designed by Julian Crouch. Ms. Hofmann also specializes in creating Etch A Sketch artwork. INDIO, WILL, AND CHRIS - OUR CREW! BROADWAY: includes Captain Newton in Amazing Grace, Komarovsky in Doctor Zhivago, Pontius Pilate in Jesus Christ Superstar, Billy Flynn in Chicago, Dracula in Dracula; The Musical, Frank N Furter in The Rocky Horror Show (Tony, Drama Desk nominations), Scar in The Lion King. NATIONAL TOURS: Finding Neverland, Urinetown, Dirty Rotten Scoundrels (Touring Broadway Award), Peter Pan. Off Broadway: Another Medea, Treasure Island, Jeffery, Beau Jest (Outer Critics nomination), Richard III, Othello. RECENT REGIONAL CREDITS: My Paris (Long Wharf), Irma Vep (BTG), Yoshimi Battles the Pink Robots (La Jolla Playhouse), Kiss Me, Kate (Reprise!, Muny), Private Lives and Travesties (Long Wharf, CT Critics Circle Award), Compleat Female Stage Beauty (Old Globe), Zhivago and Dracula; The Musical (LaJolla Playhouse), Uncle Vanya (Arena Stage), Racing Demon and Blithe Spirit (Guthrie), Antony and Cleopatra (Shakespeare Theater). Performances throughout Japan, Europe, and the U.S. with the Suzuki Company of Toga. T.V. AND FILM: Law and Order, Frasier, All My Children, and Julie Taymors’s Fools’ Fire. Tom is a native of Montana. Julian is third in a lineup of four siblings obsessed with masks, capes and Nerf Guns. They are a fun-loving troop who call themselves “The Fuentes Family Fighters.” Being the third boy, Julian plays the role of prankster very well (His favorite day of the year is April Fool’s Day). Julian loves to read, run, think, and cuddle - in that order. The proud Ravenclaw and owner of five Monopoly sets, Julian is a fierce competitor who enjoys playing games of all kinds. He has moved 6 times in his 10 years of life, which has made him into an adaptable, friendly and courageous little boy. Most importantly, Julian is loving and affectionate, and his experience so far with “The Molok” has left him awestruck. He is absolutely thrilled to be a part of this incredible project. Alexis is a single mom, and the proud captain of the Fuentes Family Fighters. Before being a mom, Alexis worked as a Catholic missionary. Today, she is a speaker on Catholic Spirituality, and works in youth ministry, designing retreats and creating meaningful content for events that engage young people in their life of faith. In her “spare” time, Alexis is a student at Seton Hall University, working on her Masters in Theological Studies. Alexis feels incredibly privileged to walk with her little boy through this amazing experience. Ron is an actor/stage manager/writer/production manager. He has been on All My Children, Law & Order, and the upcoming series Playing Dirty as well as numerous commercials. His film works include Enchanted, August Rush, and theupcoming Beyond Kepler. Ron is the Production manager for Stephen Lang's Beyond Glory which is a one man show with Stephen Lang (Avatar, Don't Breathe, Terra Nova, Tombstone) about 8 Medal of Honor recipients. In his free time Ron plays goalie for the New York Rangers Sled hockey team.